Visiting Mount Rushmore is almost a rite of passage, and it is a bucket-list item for many Americans interested in U.S. history. 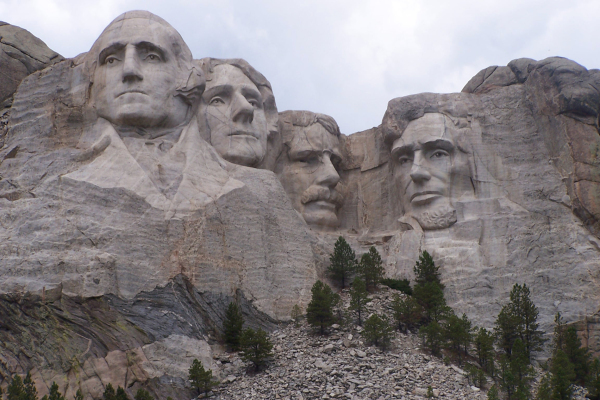 The monumental sculptures carved into the granite of Mount Rushmore feature the heads of four iconic presidents of the United States. This gem of the Black Hills region covers 1,278.45 acres. This marvel is visible from space and was built by sculptor Gutzon Borglum as a repository for important documents of American history. While access to the memorial is absolutely free, parking is not. Passes for senior citizens, National Parks and Federal Recreation passes, and military passes are not valid to park. Everyone is subject to a parking fee. Parking fees for buses are $50. There is, however, a 50% discount for verifiable non-profits. Some of the areas at the park are wheelchair accessible. Others require the ability to climb stairs. Mount Rushmore is best viewed in the summer and late spring. The weather in the Black Hills region can be quite inclement for travel during the fall, winter, and early spring. This highly rated hotel has many value amenities that will make your group stay extra affordable and very comfortable. The hotel offers free Internet, free breakfast, free parking, and it has two indoor hot tubs and one indoor heated pool for the enjoyment of your group. Just three blocks from downtown Rapid City, you can go ahead and walk to many restaurants and stores. Located in Hill City and surrounded by majestic landscapes, the Holiday Inn Express puts your group within a short drive to the Mount Rushmore National Memorial. The rooms are extremely large and comfortable, and the complimentary breakfast includes many hot items. Groople has a dedicated travel specialist for educational trips. Give us a call and let us book a great group rate for you. Check out awesome ways to save money on school trips.